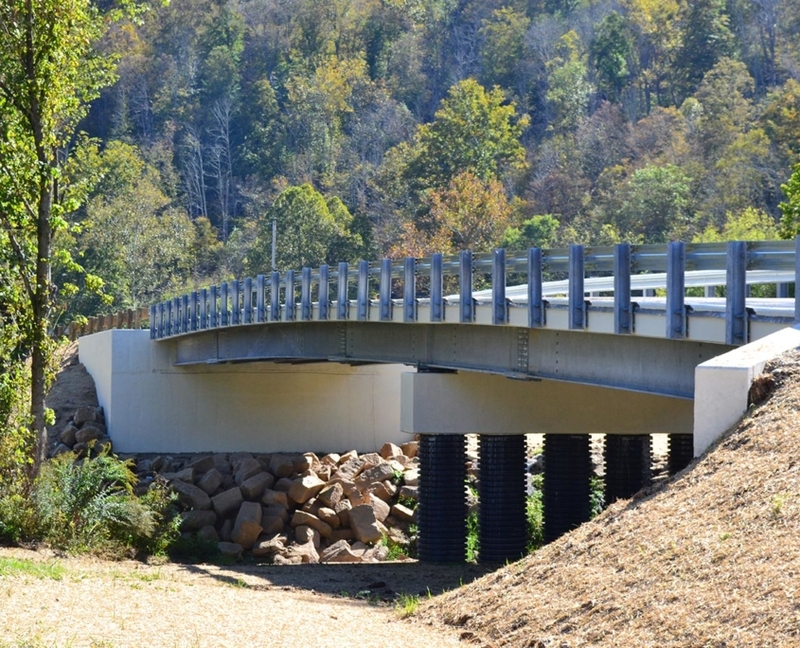 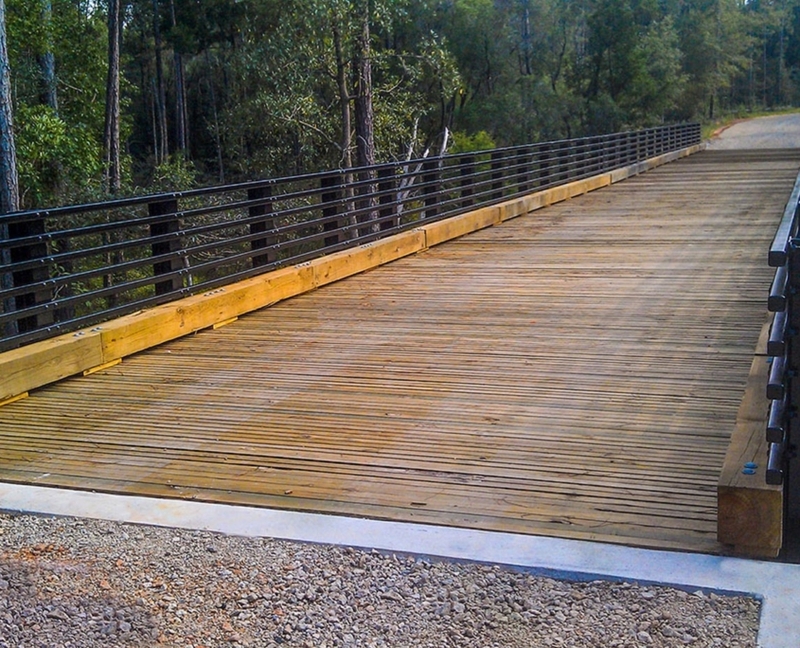 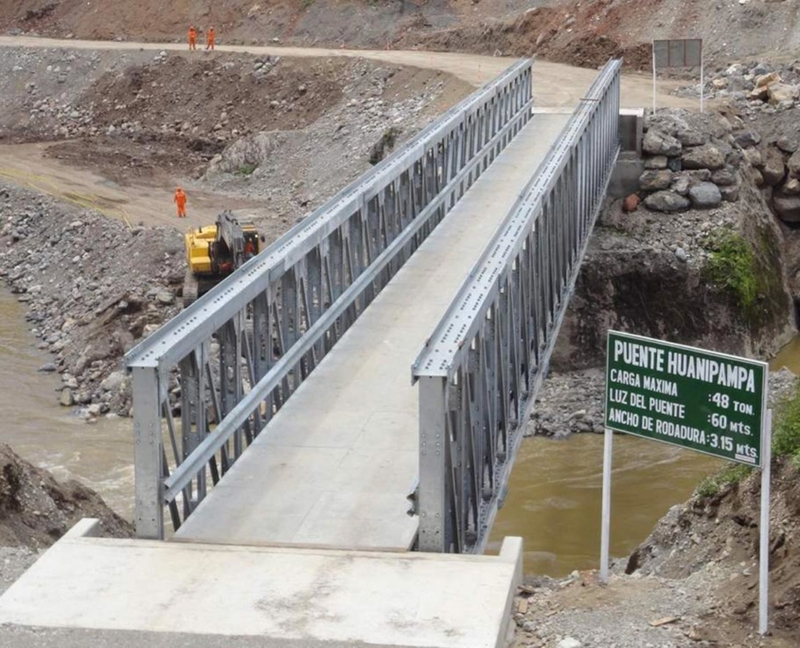 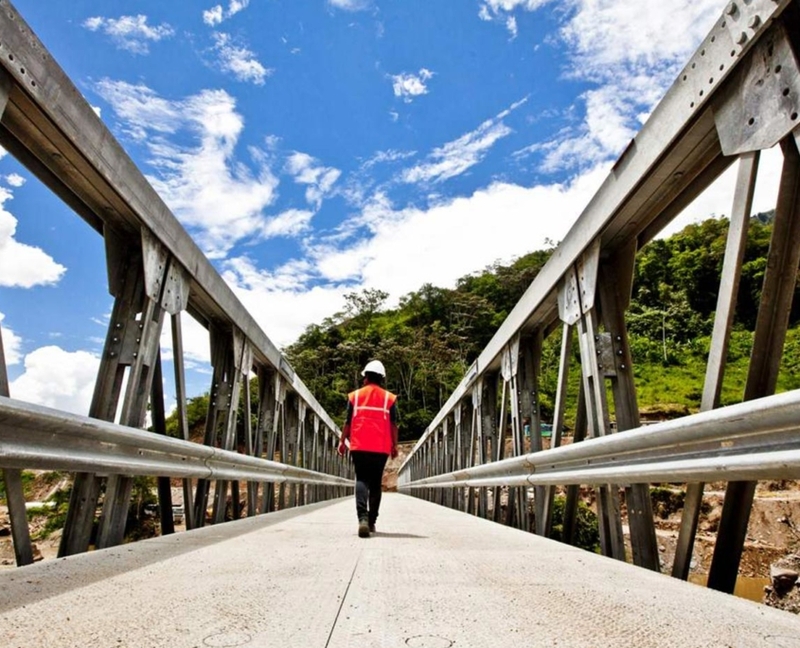 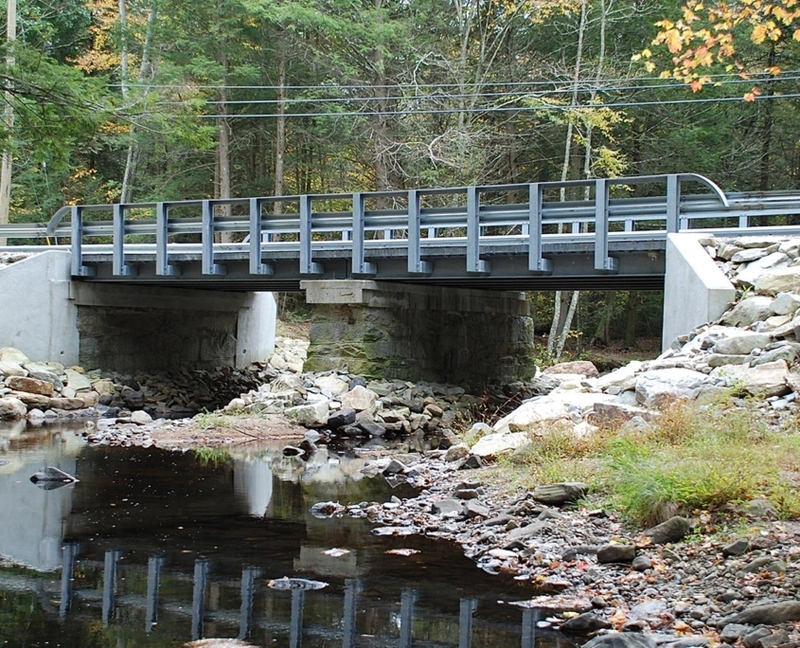 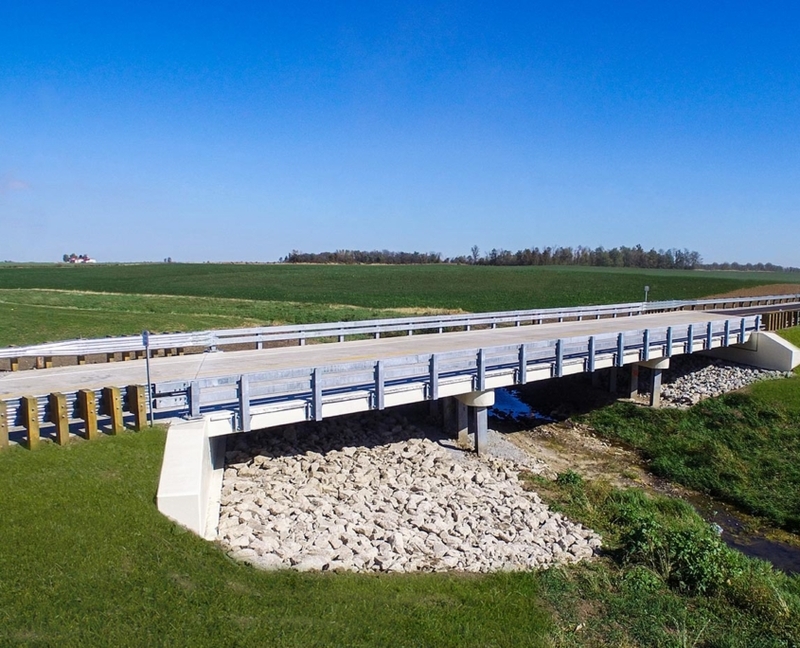 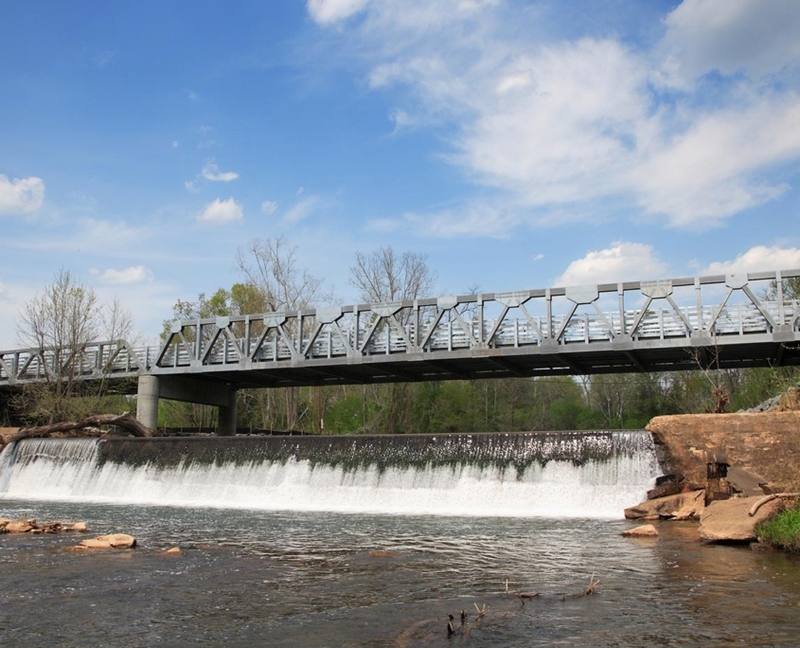 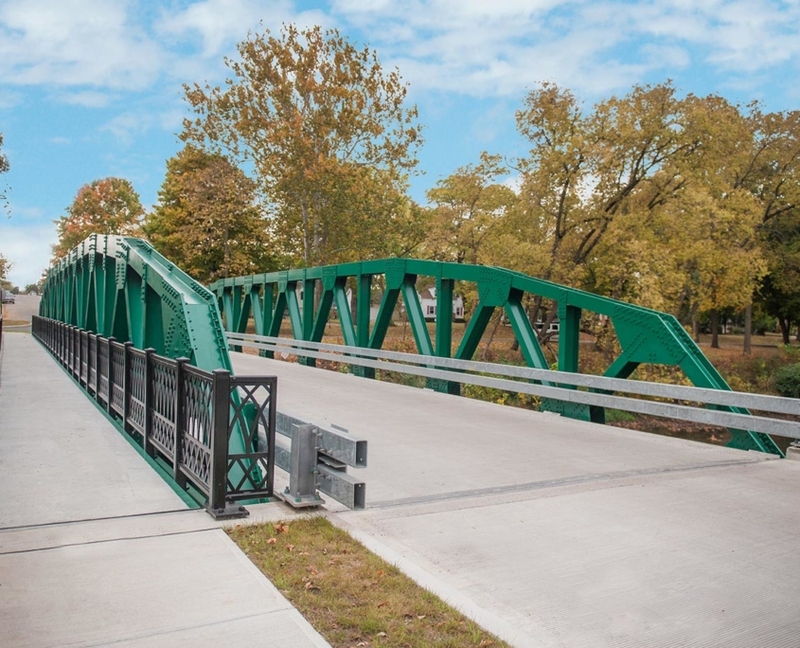 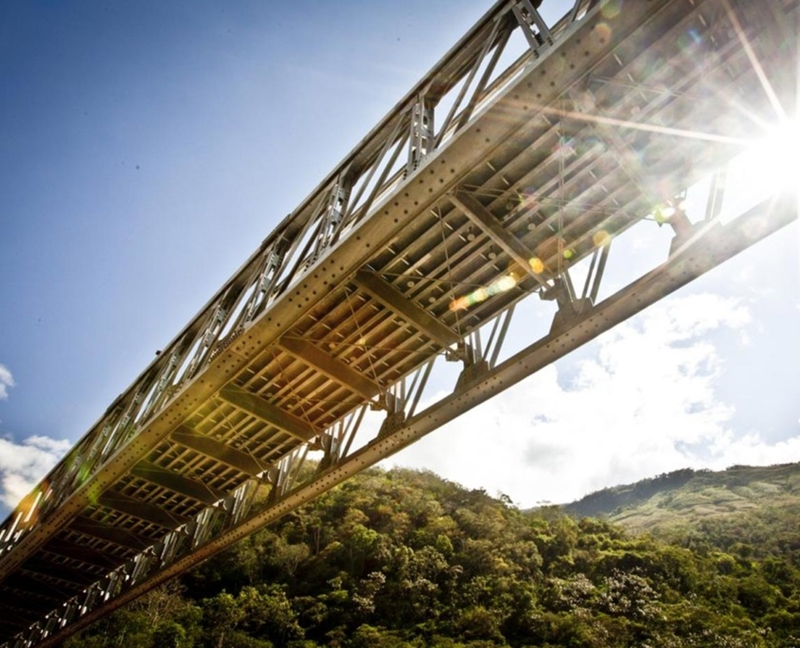 We offer a wide selection of prefabricated bridge styles to meet your project needs. 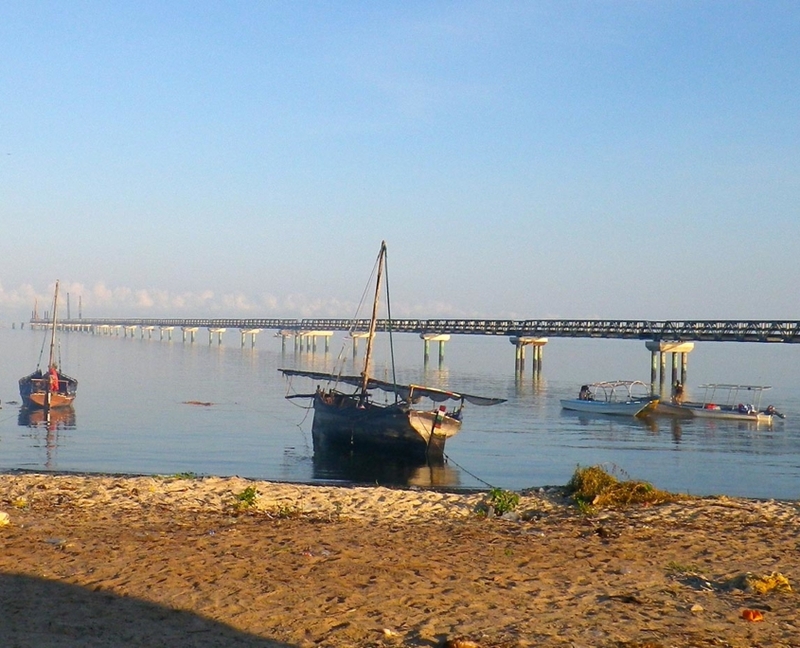 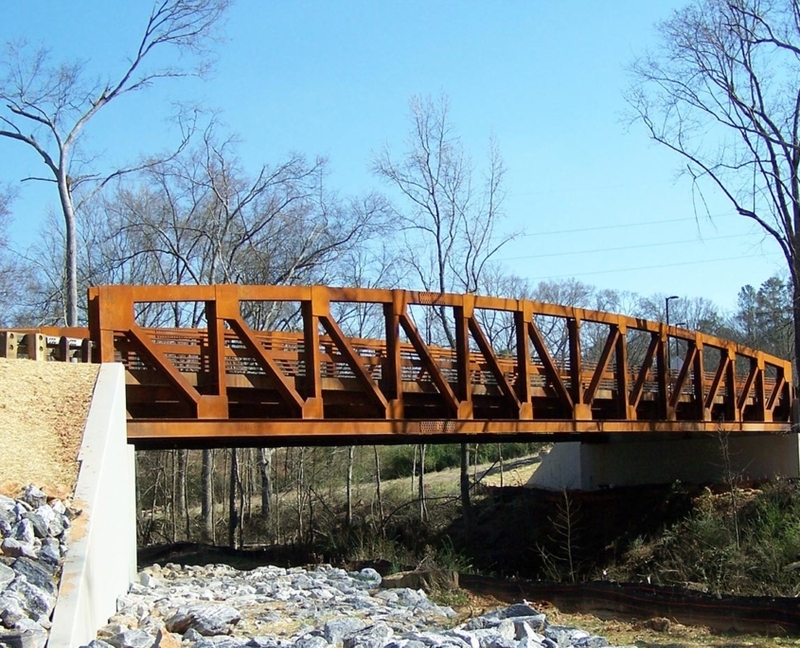 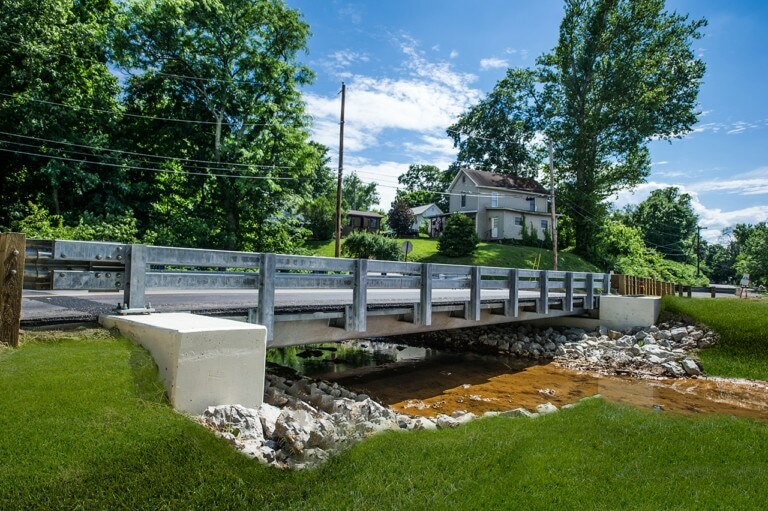 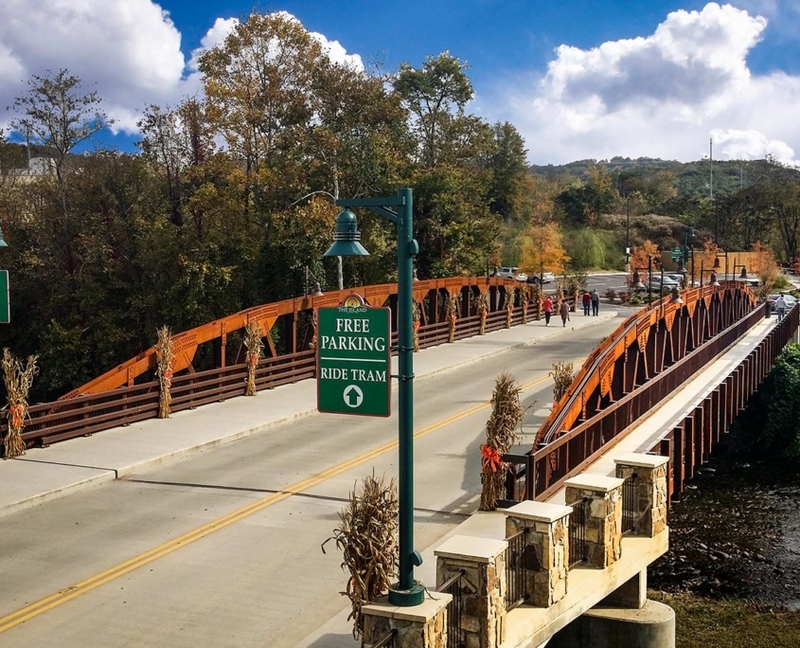 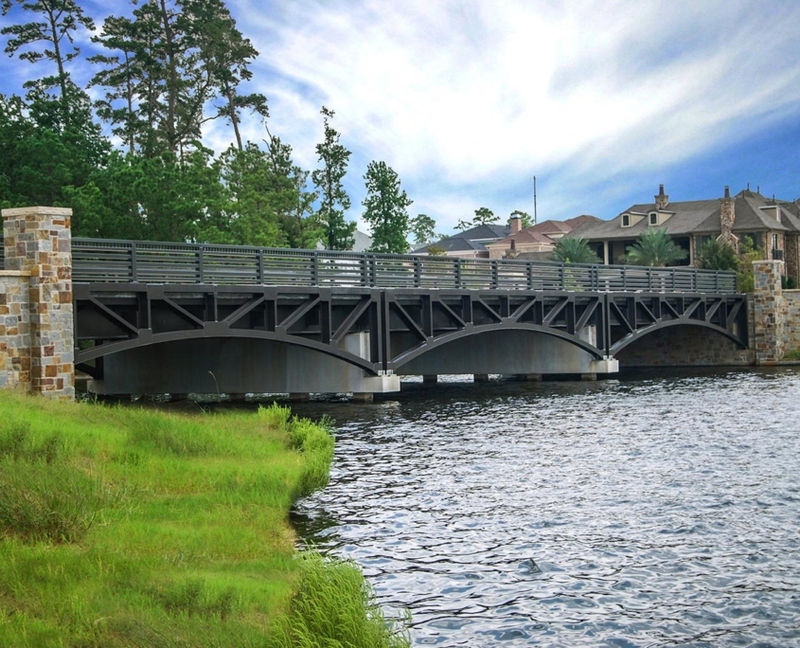 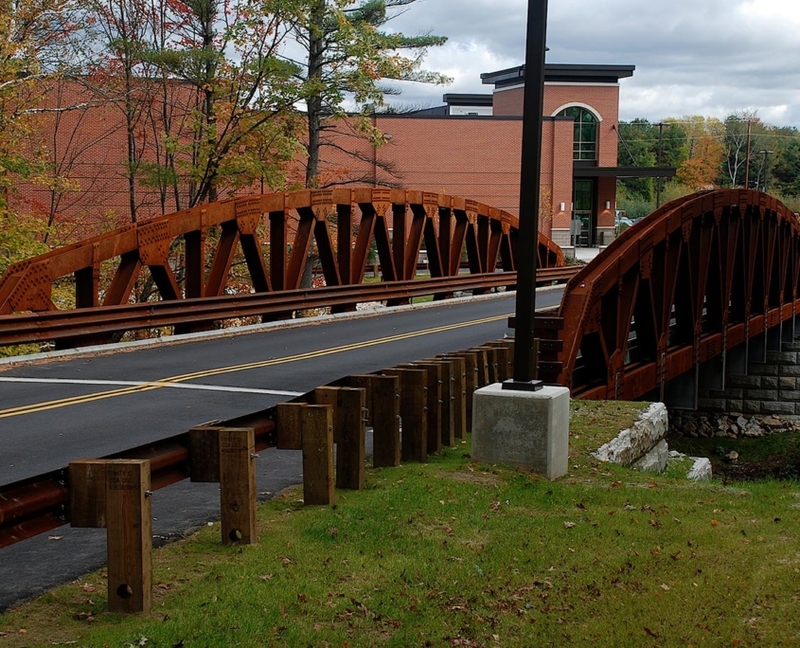 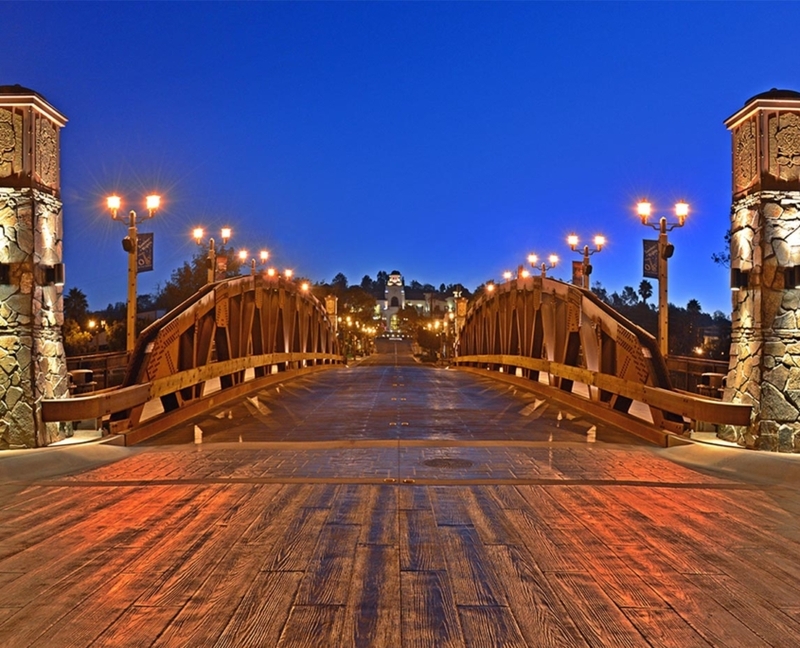 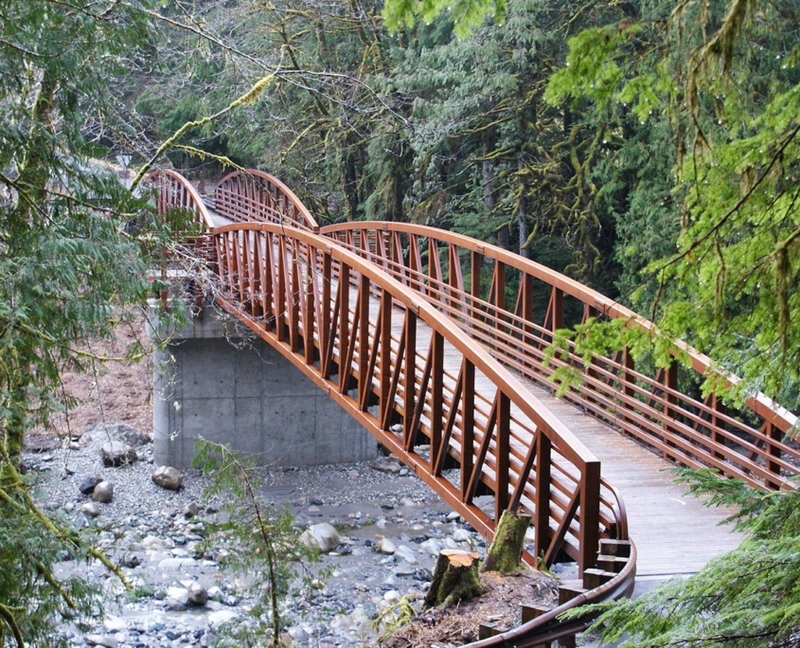 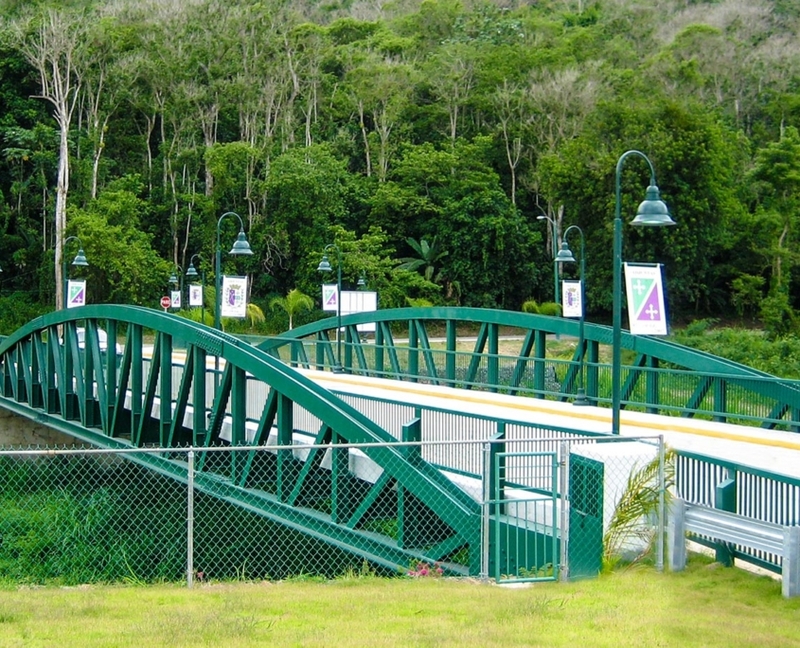 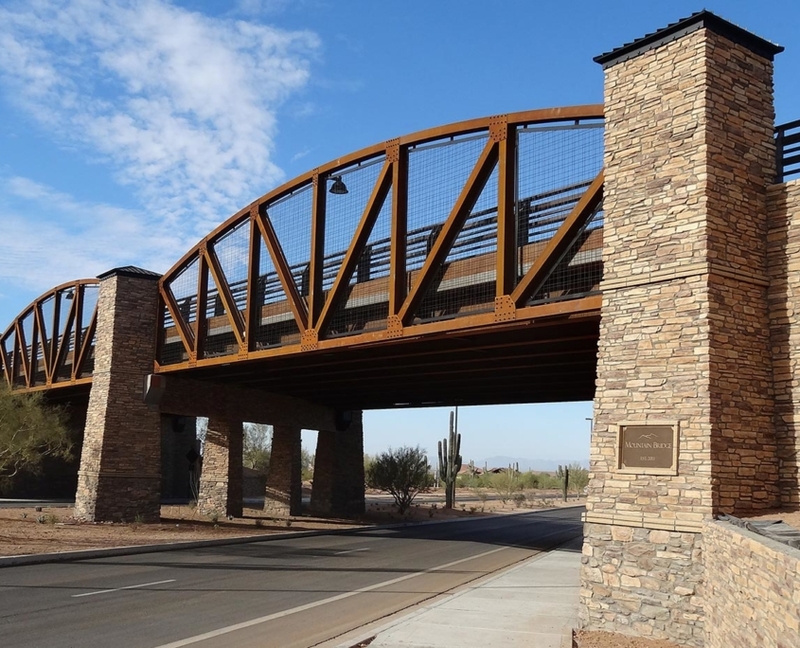 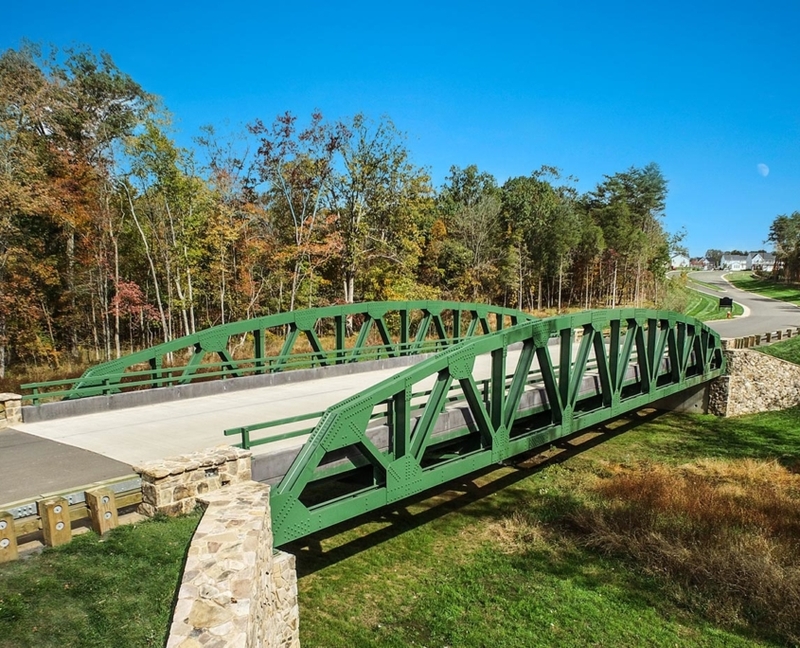 Leave a lasting impression with one of the following bridge designs. 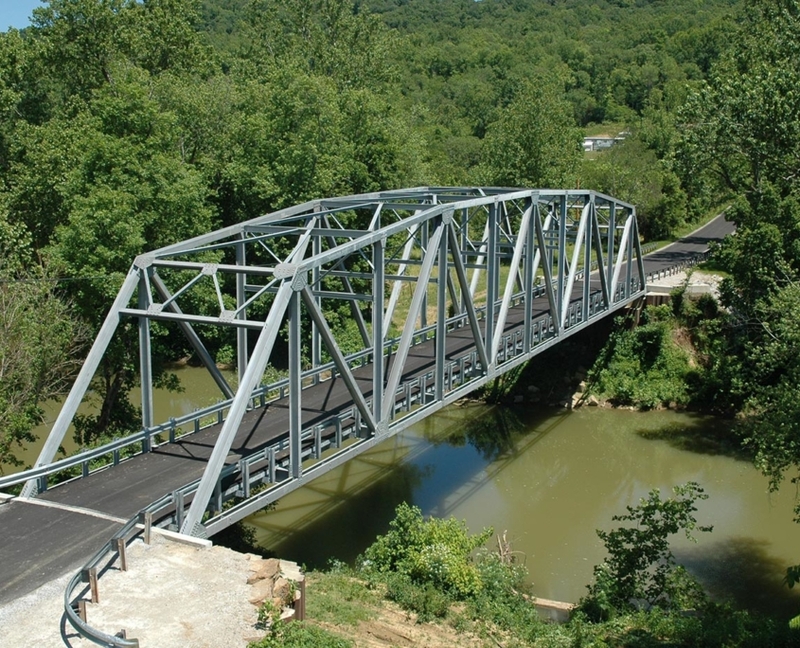 This is a Warren Truss girder bridge that is formed by a top chord with a polygonal (camelback) shaped geometry. 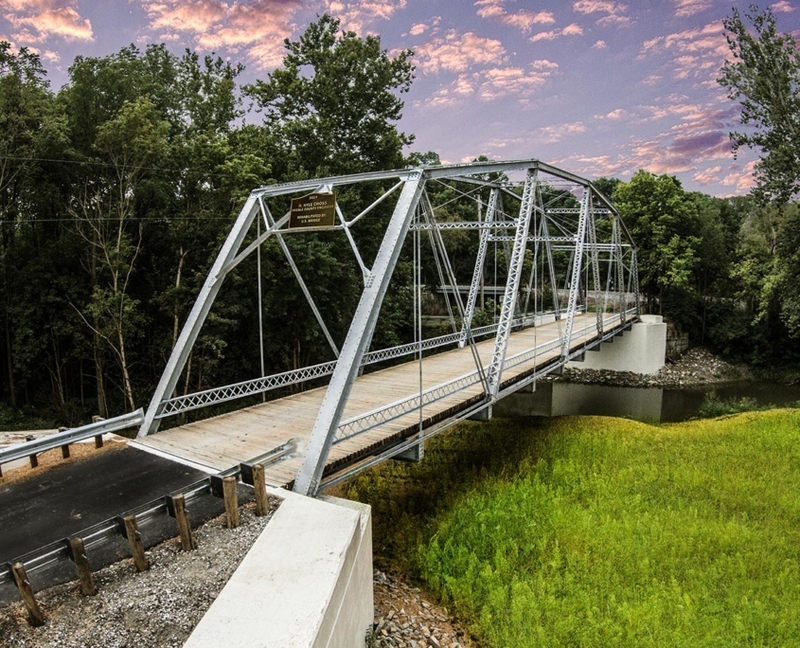 This truss eliminates verticals at the top chord panel points. 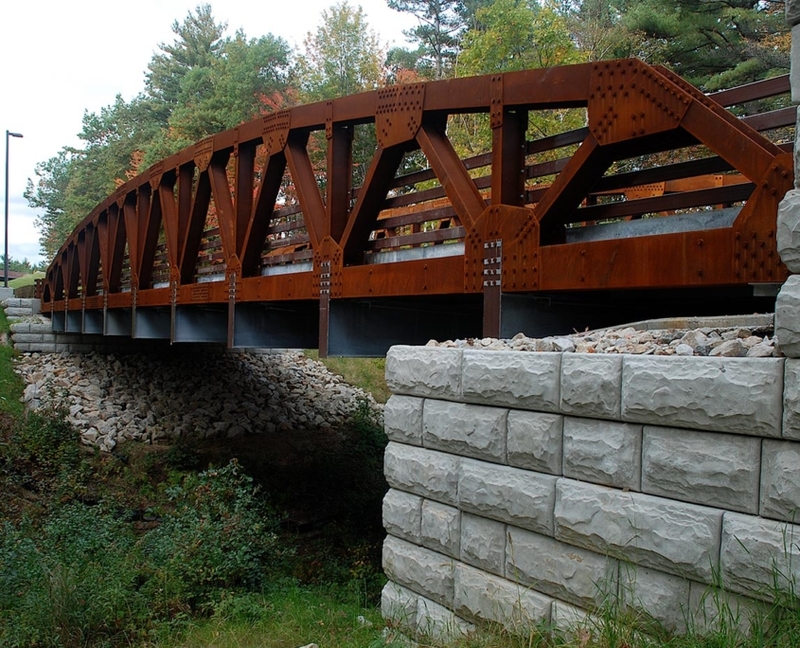 It is an efficient use of steel and one that is a classic choice for rural or industrial settings. 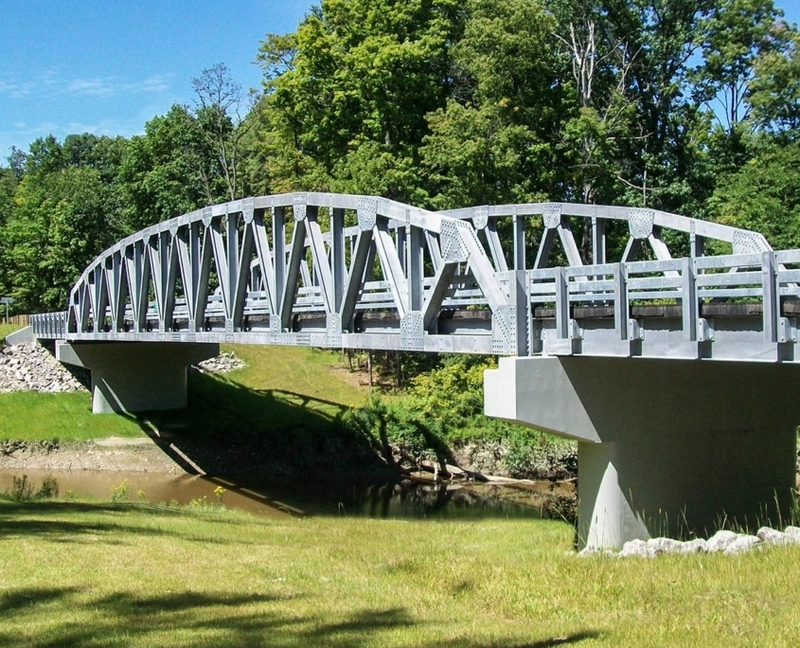 This is a Warren Truss girder bridge that is formed by a top chord with a parallel chord (flat) geometry. 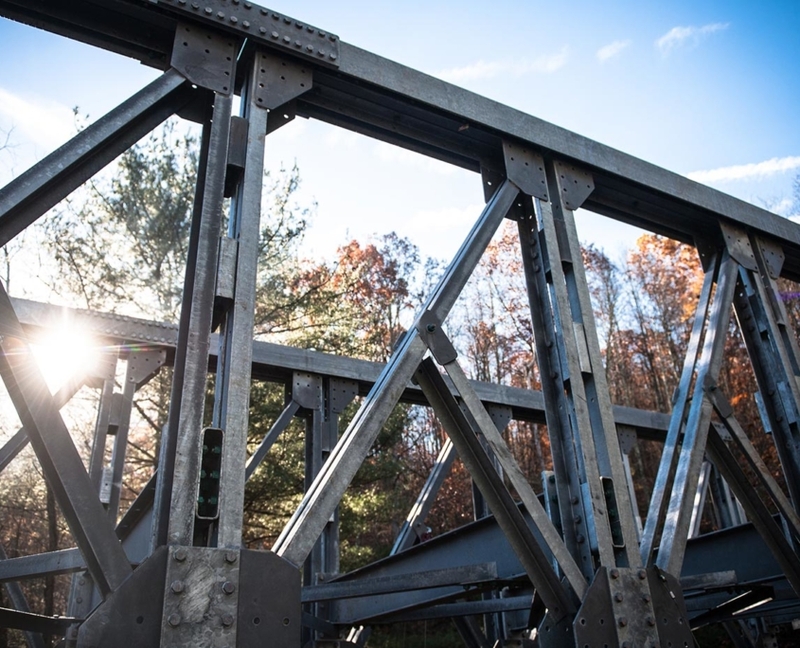 This truss eliminates verticals at the top chord panel points. 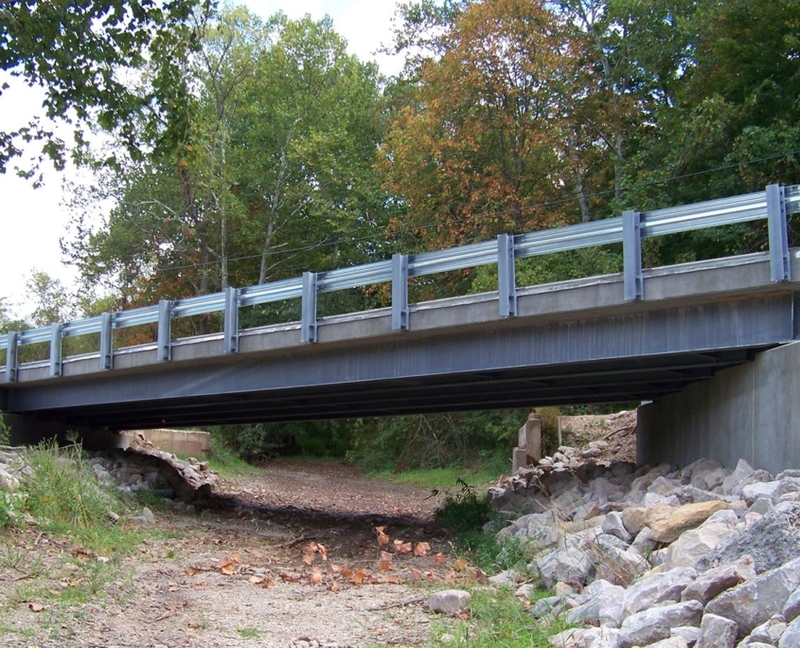 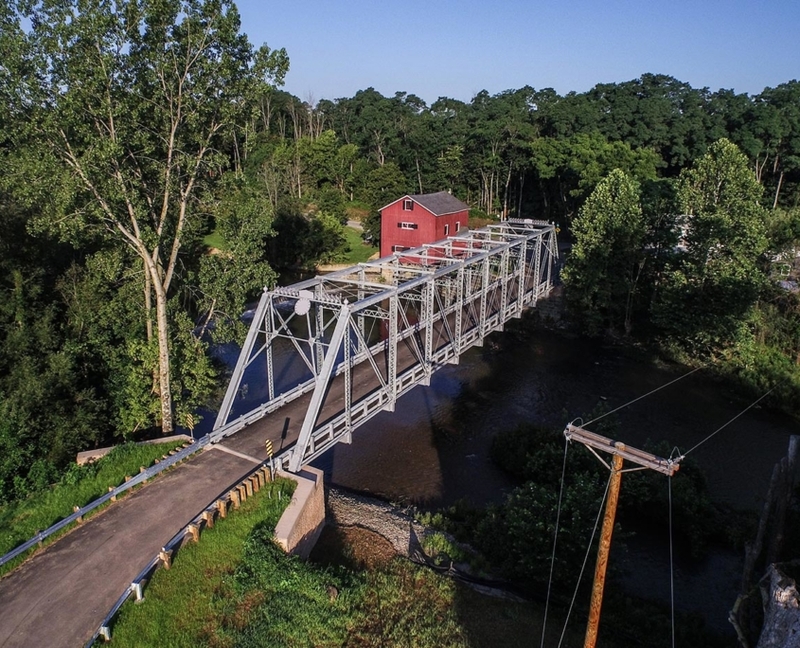 It has a sturdy look and is a great choice for multiple span bridges or bridges set in urban or rural settings. 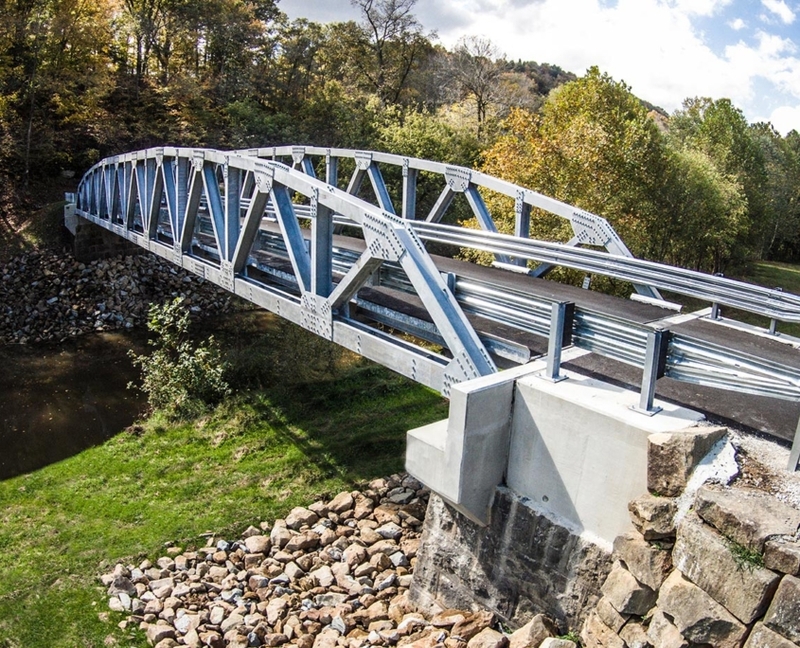 This bow-string Pratt Truss girder bridge is formed by mechanically curving the top chord into an arch shape along a parabolic curve. 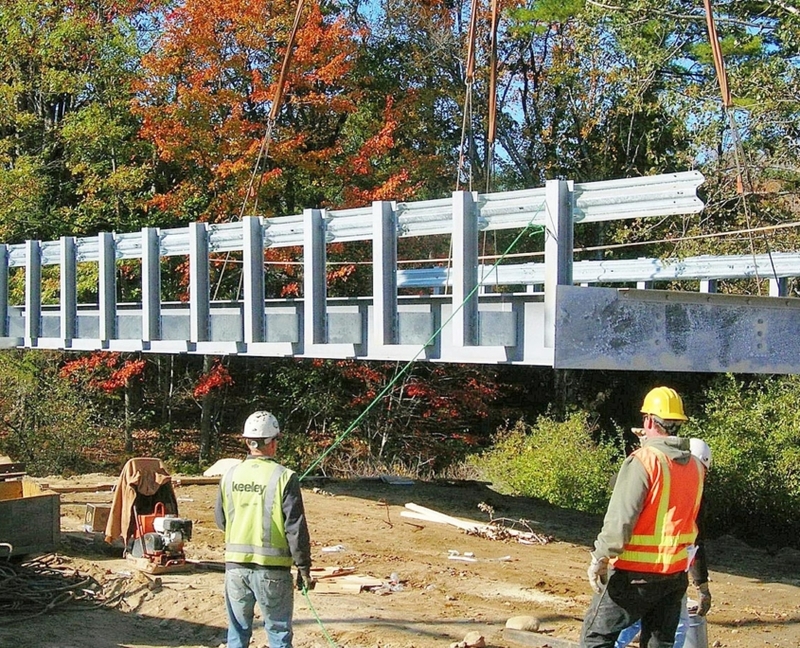 It has vertical members at every panel point which shrinks the floor beams and minimizes or eliminates stringer beams. 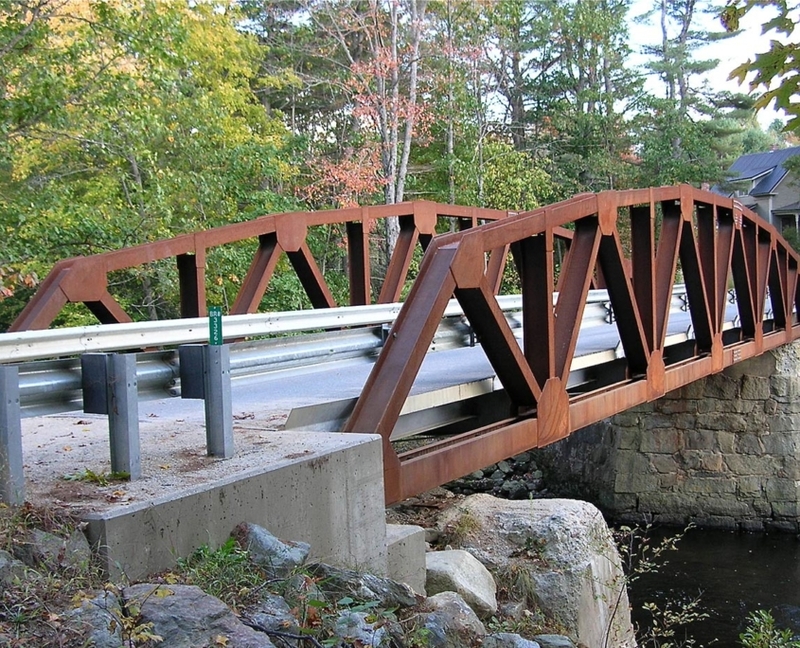 This modified bow-string arch style is configured from a Pratt Truss using vertical end posts. 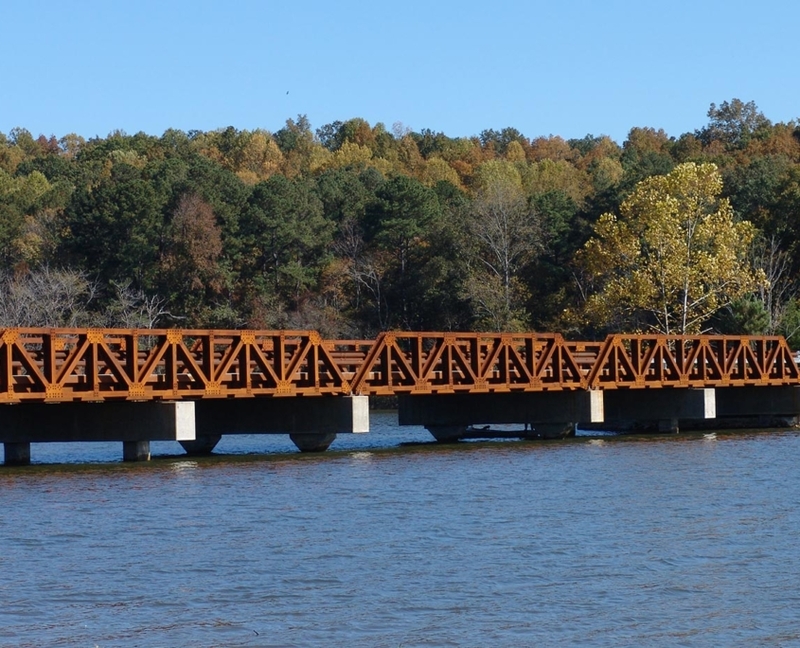 It is similar to the Seneca style, with vertical members at every panel point which shrinks the floor beams and minimizes or eliminates stringer beams. 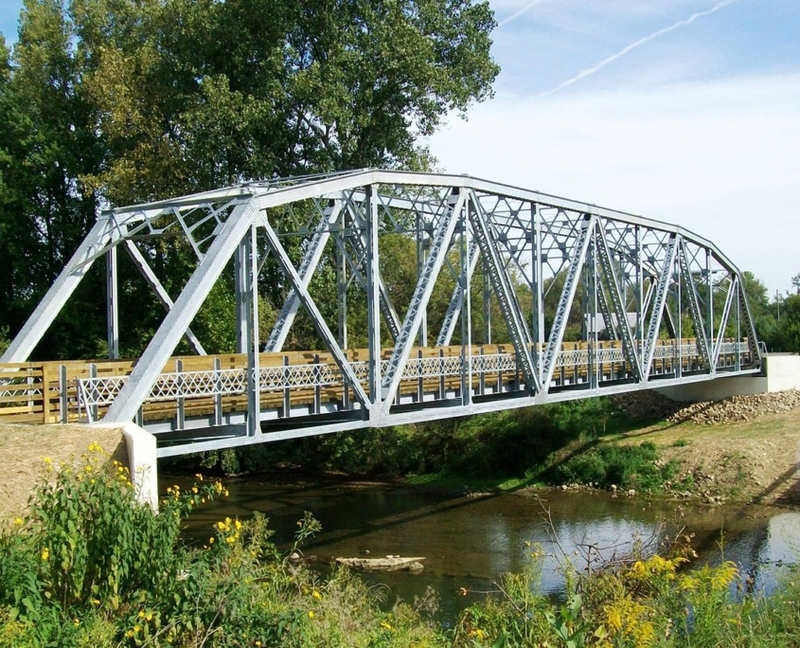 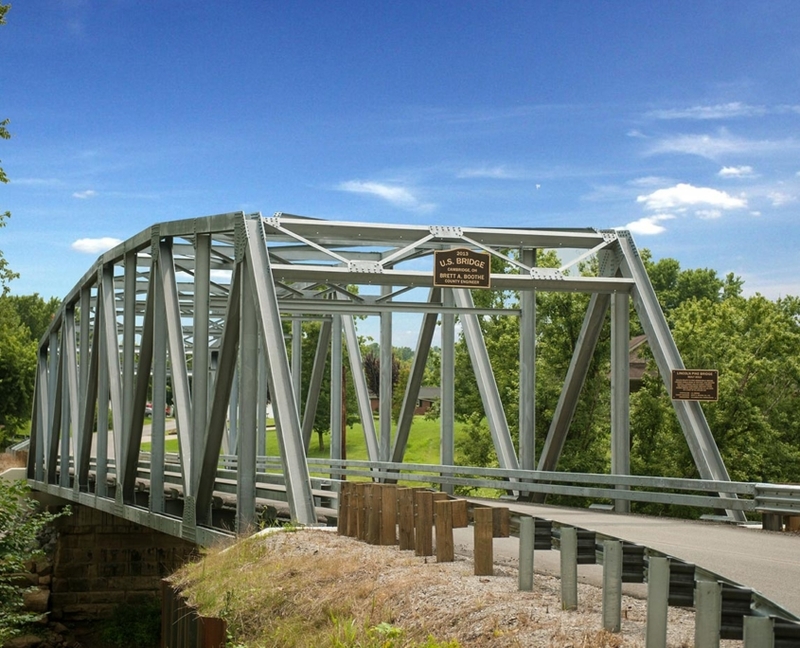 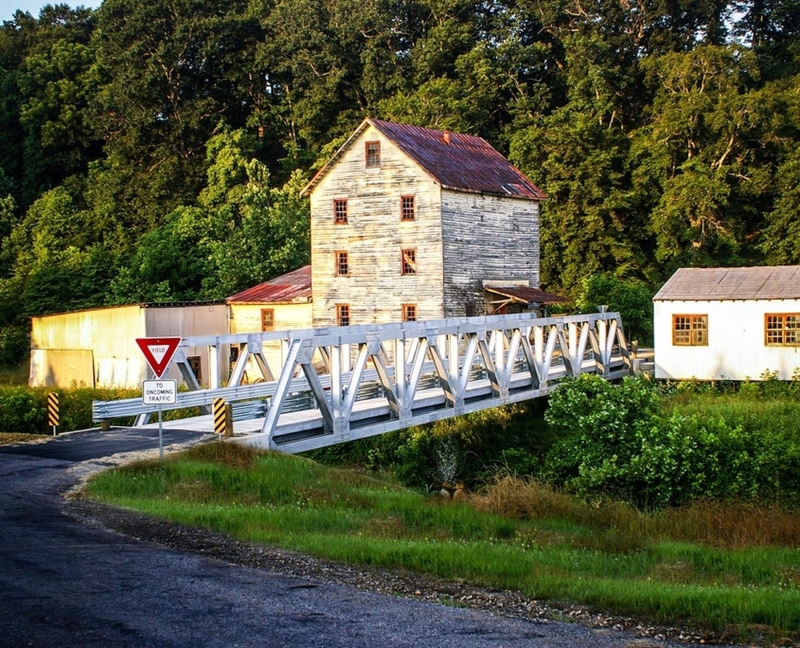 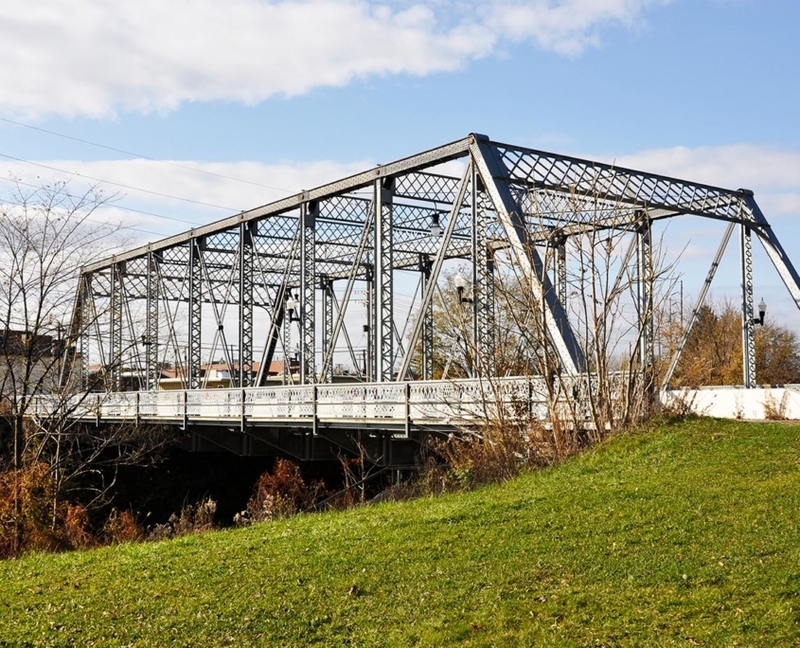 The Thru Truss describes high or box truss bridges. 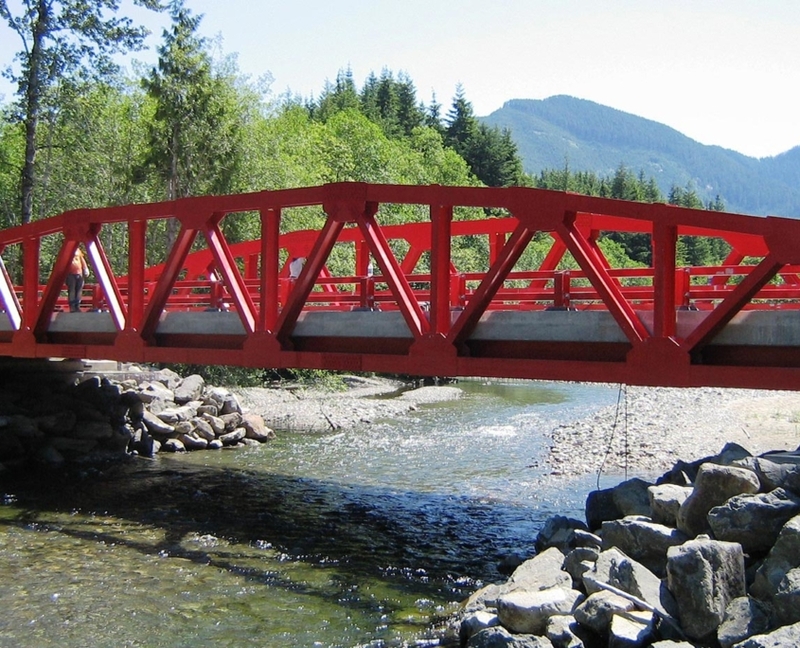 It involves portal frames which increases their span capability. 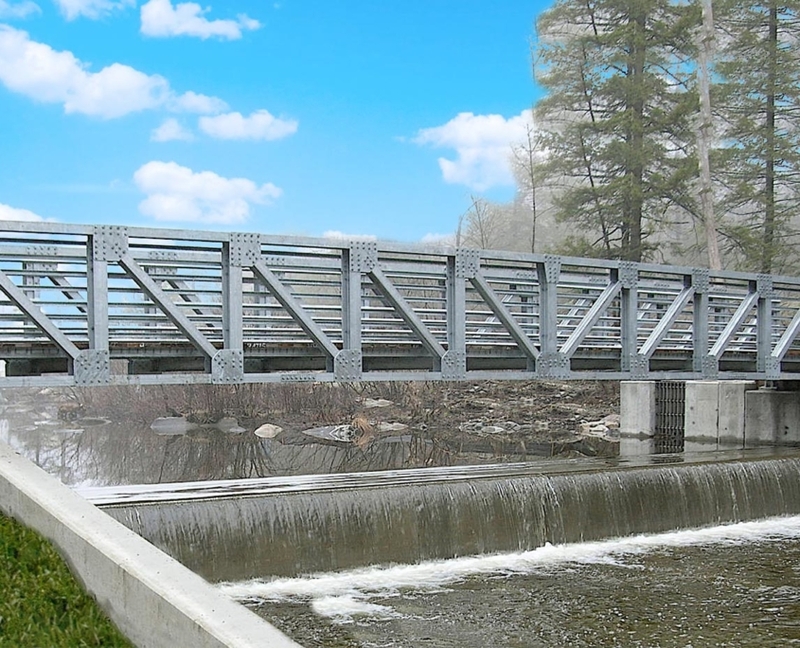 In doing so, the vertical clearance above the bridge’s roadway sets the truss height. 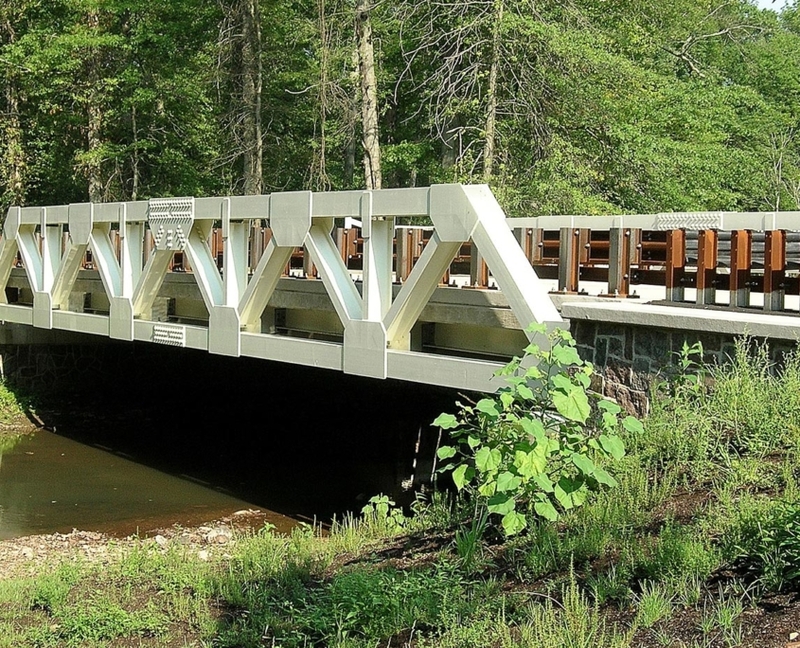 This bridge is made from prefabricated panels and assembled into modules. 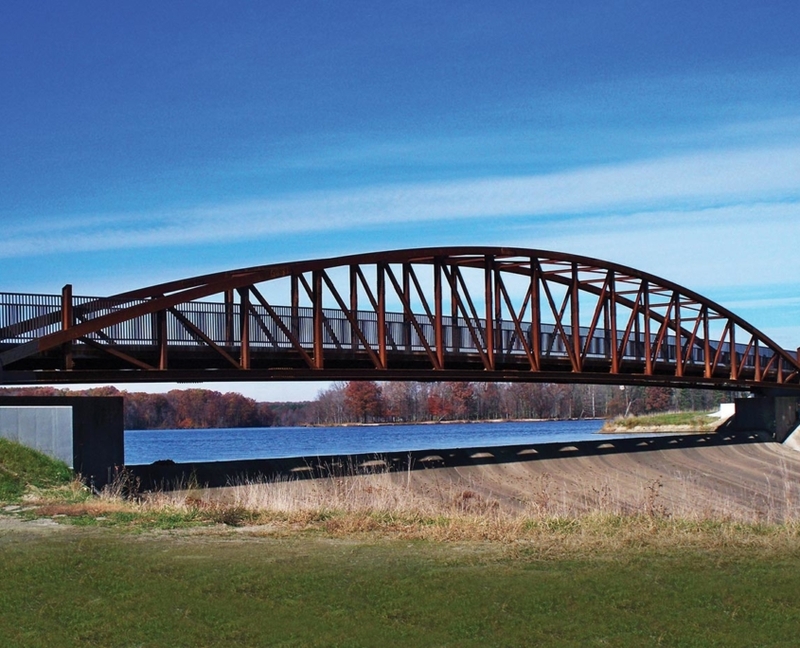 It follows the constant depth form of the Voyager (Pratt Truss) but is designed to be containerized and easy to construct. 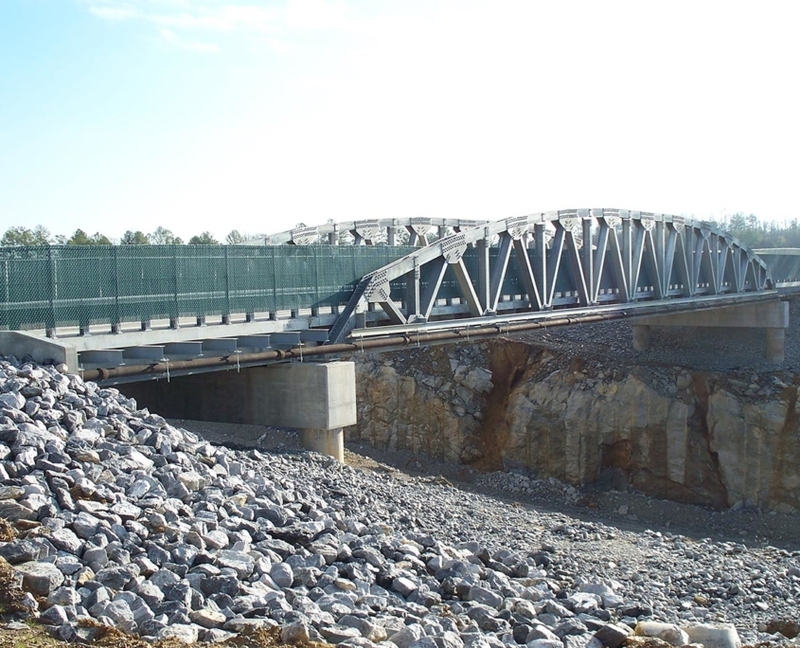 It is preferred as a permanent or emergency installation and for owners with large inventories. 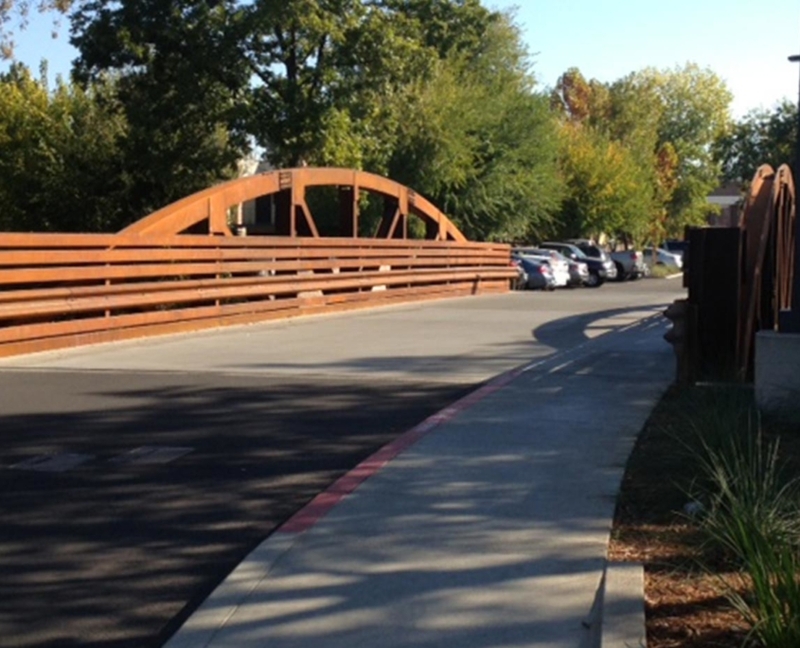 This is a simple span beam bridge that supports a concrete deck slab and stay-in-place forms, or a bridge plank and asphalt system. 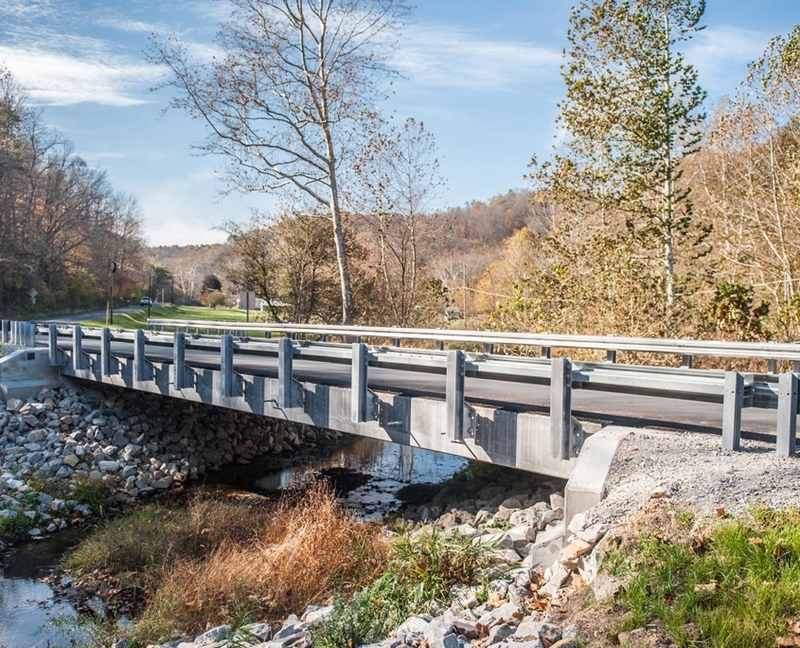 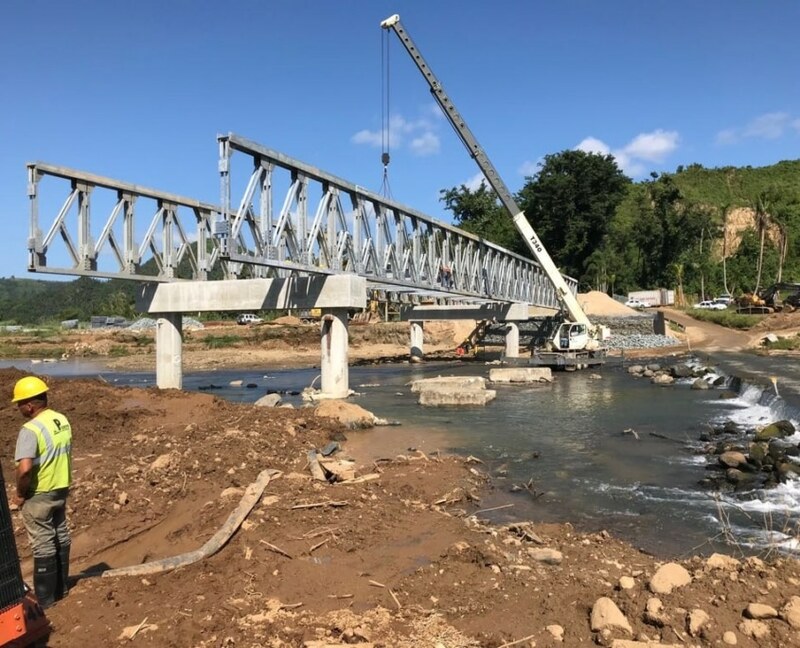 It is a short span solution that is very competitive with prestressed concrete alternatives, especially when member weight and dead loads are a concern.